Isabelle (left) and Josie (right). 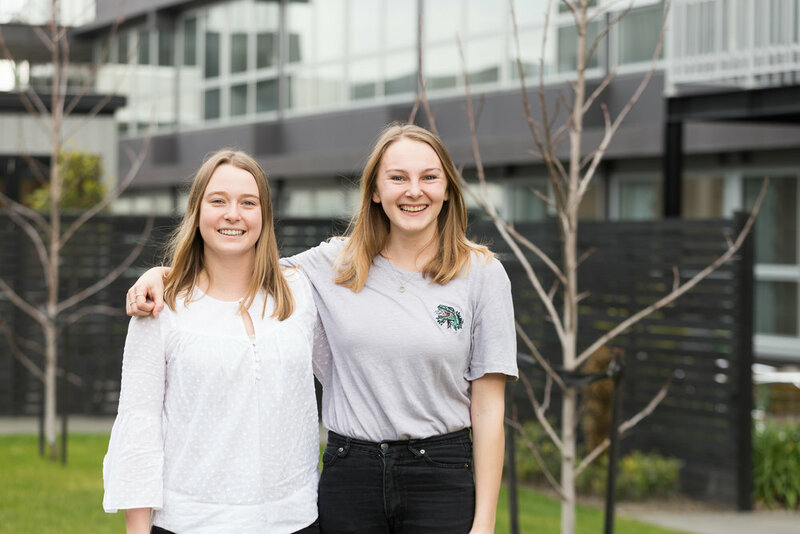 Josie Milton: My co-founder, Isabelle Smith, and I started The Monthly Co. this year, we’re both also currently in our final year of University study. The Monthly Co. delivers organic cotton tampons to your door, and with every order you receive, another box is donated to women going without each month. JM: Although still currently studying, during my chemical and process engineering degree I got to work with some incredible businesses. My first internship was with the micro-brewery Garage Project, who are quite possibly the most outrageous, innovative and fun brewers in New Zealand. On my first day I turned up and they were blasting the entire soundtrack to Star Wars in honor of their themed beer, the Dark Side. I was also lucky enough to work for a biotech start-up designing novel sensors used for processing plants. This really opened my eyes to how fun and exciting but also hard it can be trying to start a business. How did you come up with the monthly co concept? JM: Isabelle and myself first came up with the idea of tampons to your door when we were reading an article on how New Zealand girls and women are missing school and work to manage their periods. We wanted to design a business model that not only supported these women, but also the busy women living a modern lifestyle, who would find our service convenient and fun to use. Why is this type of product/business important to you? JM: The Monthly Co. is important to us because getting your period is usually never the best time. We wanted to change this by making that time of month more convenient, with easy access to organic cotton tampons, and the ability to help other women in a direct and really easy way. Have you always been drawn to businesses with a social good element to them? JM: I think at the moment there’s a really good conversation around being sustainable and socially conscious, with so many fantastic businesses making it easier for the everyday person to have a positive impact. At the moment I’m loving getting my bamboo toothbrushes to my door from Toothcrush, making us even more excited for The Monthly Co. to launch as organic cotton tampons biodegrade, meaning less waste for our environment. You are crowdfunding right now, how’s that going and what’s the goal? JM: We have actually just met our goal of $15,000 through pre-selling our delivery subscriptions, which means we are now ready to order our first shipment of tampons! From here we will be finalising our packaging and organising everything to start delivering as soon as they arrive. The crowdfunding was definitely challenging, but having the support of some great local businesses such as Fix & Fogg, Little Yellow Bird and Noble & Savage made all the difference. JM: A focus on making money is important for a sustainable business model, but if it’s your only focus you’re creating a business without integrity and the process may not be as rewarding as you might hope. We’re so glad with our decision to create a business we’re proud of that has a strong social and environmental impact. What’s your most important marketing tool and why? JM: Using Instagram has been really great for us, as we managed to get some fantastic women to share our story and help us promote our #womensupportingwomen campaign. Having people like Matilda Rice, Simone Anderson and Grace Palmer share us meant we were able to reach people interested in our business, and create an organic collective of people. We are so grateful to everyone that has got behind us and shared our story. What is your vision for the business long term? JM: In the long term we would like to be able to offer a greater range of period products such as menstrual cups and organic cotton pads. We would also love to do a collaboration with other delivery services one day. What other Millennial brands do you admire and why? JM: We are obsessed with the Knitter (Nicole Leybourne), who took her hand knitted jumpers all the way to Vogue in New York. I also think that Jessie Wong from Yu Mei is very inspirational, and her handbags are so well designed and luxurious. Who are some other Millennial’s in business and life that you look up to and why? JM: We were very excited when Matilda Rice wanted to share our story with her followers. We love that she promotes living a healthy and balanced lifestyle and always approaches things with a fun sense of humour. She’s obviously got a huge following with kiwi women and girls but she’s also given up her time to promote some really worthy causes in New Zealand such as Cure Kids and Red Nose Day. Thanks Josie! For more on The Monthly Co, take a look at their website.